How many people does it take to envision, design and build a typical building? Architects, builders, carpenters, laborers are often just the beginning of a long list of co-creators. 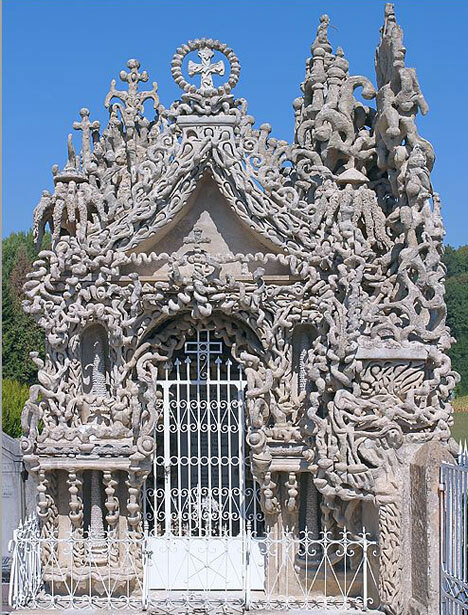 Well, these bizarre exceptions were each primarily the work of a single eccentric individual and in many cases took decades (or even lifetimes) to construct. 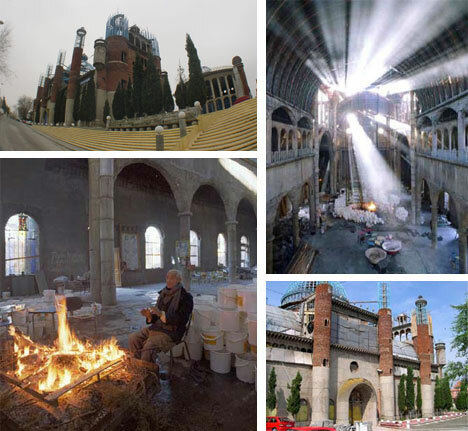 From wooden skyscrapers to recycled wonderlands, despite having this essential factor in common, the ultimate built outcomes of these incredible projects range significantly in style, execution, materiality and purpose. 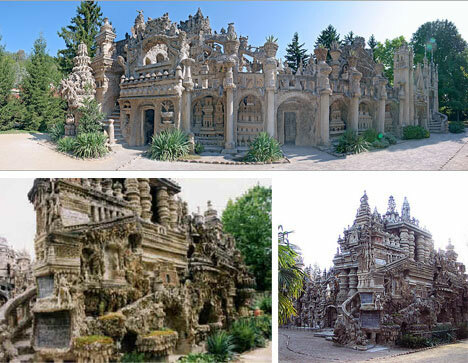 Hauterives, France: Facteur Cheval was a mild-mannered mailman by day and a wildly inspired pseudo-architect and builder by night. 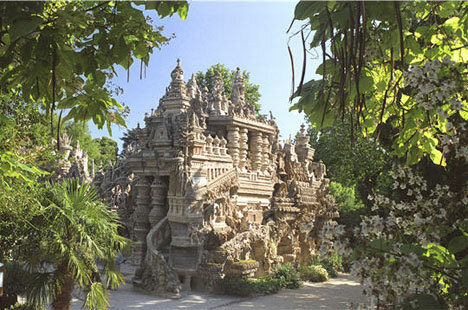 His strange architectural masterpiece, the so-called Perfect Palace (Palais Ideal) took him decades to construct and was finished in the early 1900s. 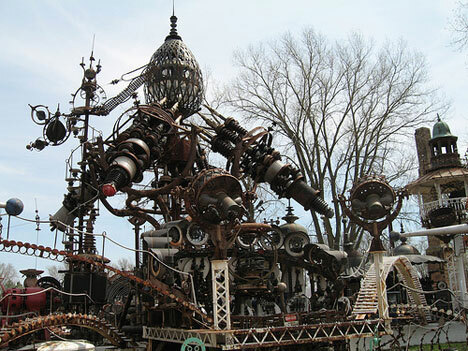 He had no formal design or construction training and learned as he went, day by day, for over 10,000 days with few people aware of his creation until it was completed. 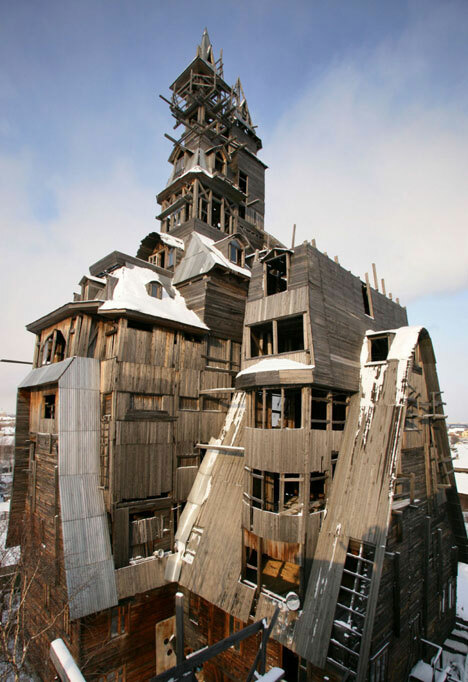 Archangelsk, Russia: Nikolai Sutyagin started this amazing wooden skyscraper as a simple two-story structure, then just kept building. The building now stands 13 stories (144 feet) tall and is under threat of demolition out of safety concerns by authorities. 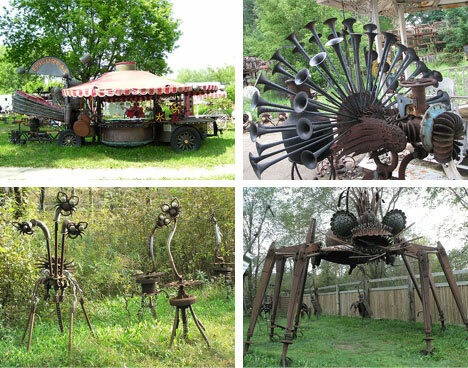 Taking what he learned (and earned) as the owner of a small construction company he built this masterpiece. While in jail for supposedly imprisoning a worker in part of the building his business went to pieces. 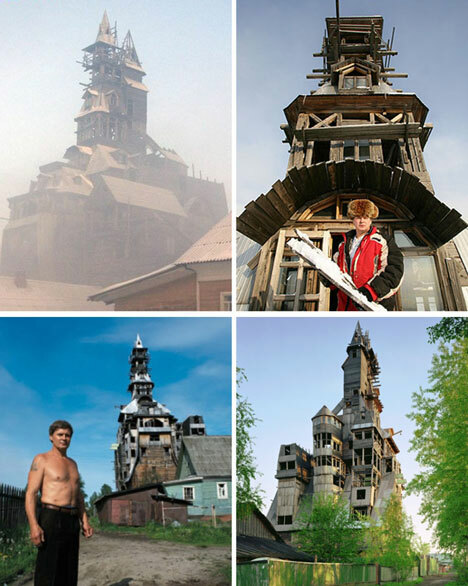 Now the strange wooden skyscraper is all they have left. 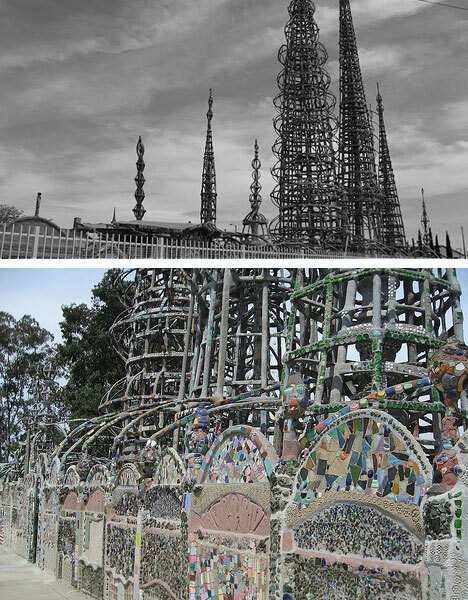 Los Angeles, California: Simon Rodia was an Italian immigrant who moved all around the United States before settling in LA. 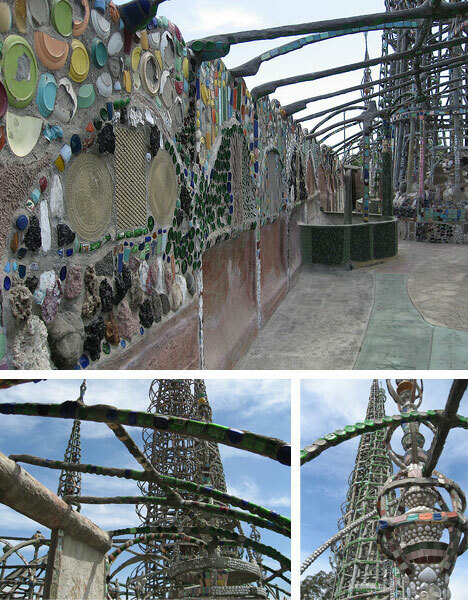 What started out as a few random art projects became a vast and semi-abstract architectural masterpiece known as the Watts Towers, complete with a gazebo, fountain, bird baths and other assorted structures reaching up to 100 feet in height. These were comprised of shells, scrap metal, pottery shards, rocks, glass and pretty much any other random material he could find. 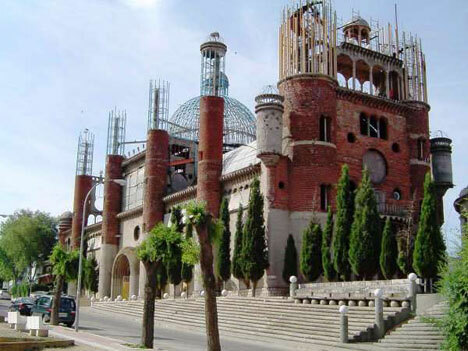 For the main structural elements he employed steel, cement, mortar and wire mesh and assembled all of his creations without the assistance of scaffolding. 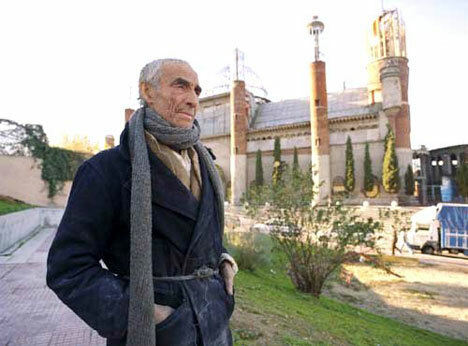 Mejorada del Campo, Spain: Justo Gallego Martinez was a Spanish monk who was forced to leave his order after taking ill. His radically individualistic cathedral was built without sanction from the local government, let alone the Catholic Church. At over 100 feet high he has managed this remarkable accomplishment with some assistance from nephews and with revenues from his farmland as well as private donations. He also accepts donated and recycled building materials. 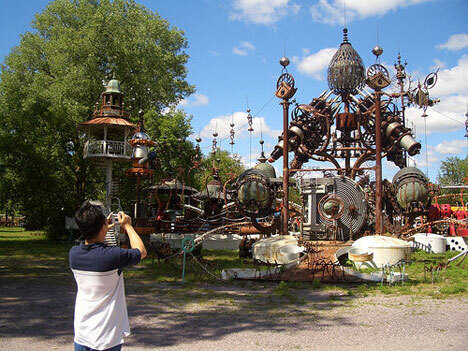 Baraboo, Wisconsin: Tom Avery (aka Dr. Evermore) is responsible for the world’s largest scrap-metal architectural sculpture known as Foreverton. Weighing in at over 300 tons this amazing structure climbs 50 feet in the air and reaches 60 to 120 feet in either direction. Once the owner of a salvage business, Avery began turning his talents to this bizarre architectural pursuit over two decades ago and (supposedly) believes a spaceship contained within will launch him eventually into supernatural world beyond our own and bring him into contact with the Divine. 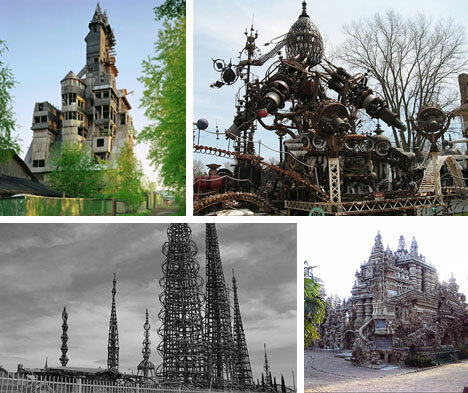 For more unbelievable home-made architecture check out this article from Curious Expeditions and for more insanely built structures check out these 5 kinds of bizarre recycled architecture.